Versico is proud to offer cutting-edge, high-quality products, as well as the ﬁnest in warranty for their products. Our Versico Field Service Representatives will design and assist you with selecting the ideal system and attachment method. Our Versico roofing specialists will inspect the roof once it is ﬁnished for compliance with Versico’s rigorous standards. Culver Roofing Project Managers get to know our customers’ needs and we offer service and support throughout your project, and after it is complete. 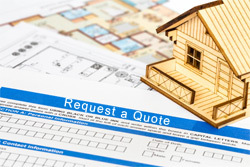 With Versico TPO roofing membranes, Culver Roofing Company can help you protect your roofing investment with warranties ranging from 5 to 25 years on your PVC system. As part of the Carlisle Construction Materials division of Carlisle Companies Inc. (NYSE: CSL), Versico maintains a large warranty reserve that is audited annually for its sufficiency. Versico’s Total System Warranties are No Dollar Limit (NDL) warranties, which do not depreciate over time or require a costly maintenance program. As the industry leader in TPO membrane production and sales, Versico prides itself on a tradition of continuous innovation. With the introduction of VersiWeld TPO membrane with APEEL Protective Film, Versico continues to shape the evolution of the commercial roofing industry through the development of world-class products. Versico’s patented APEEL Protective Film guards the surface of TPO membrane from scuffs and dirt accumulation during installation, eliminating the need to clean the roof once the project is complete. Durable and easy to remove, APEEL Protective Film helps save time and labor, improves aesthetics and increases customer satisfaction. VersiWeld TPO membrane with APEEL Protective Film is ideal for re-roofing, re-cover, and new construction projects. APEEL Protective Film will stay in place until you are ready to take it off, at which time the 5-foot-wide strips are easily removed by a single person. Ideal adhesion levels allow the film to stay in place for months, resisting the effects of heat, UV exposure, rain, and wind. Once the film is removed, no residue remains on the TPO sheet, providing the building owner with a clean, white, reflective roof that will continue to resist dirt pick-up long after installation. The cool gray color of APEEL Protective Film reduces the glare that can make white TPO challenging to install on a sunny day. TPO membrane can become slippery when wet, especially in the morning when dew is present, but APEEL’s gray color helps moisture dry faster, thus providing a dry surface more quickly. 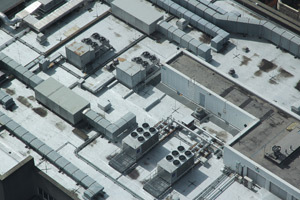 It is becoming common practice for building owners to request that their new TPO roof be cleaned before they pay for it. Today, roof cleaning is actually included in our roofing quotes. The cost to pressure wash a TPO roof is typically between 15 and 75 cents per square foot, but with Versico VersiWeld TPO with APEEL Protective Film, there is no need to clean the roof after installation; simply remove the film, and the roof is ready for final inspection. All of Versico’s VersiWeld® TPO membranes contain the OctaGuard XT weathering package. OctaGuard XT technology is comprised of eight performance-enhancing ingredients, including three heat-stabilizing antioxidants and three UV light stabilizers as well as organic and inorganic UV absorbers. Independent test results and a chemical analysis show that VersiWeld TPO with OctaGuard XT contains more weather-protecting ingredients than any other TPO membrane tested, which means Versico’s TPO provides superior long-term protection against the dangers of heat and UV exposure. With OctaGuard XT weathering package, you get a whiter, cleaner, more energy-efficient, longer-lasting and weather-resistant TPO roofing system. VersiGard TPO EPDM membranes have been around for nearly 50 years and are some of the most durable, high-performance membranes available today. Because of the membrane’s proven long-term strength and quality, Versico offers up to 30-year system warranties. Versico VersiGard TPO EPDM membranes have been field tested for decades with long-term exposure to UV and ozone resulting in little property change. Versico VersiGard TPO EPDM Systems are economical to install, offer easy maintenance for owners and achieve Factory Mutual (FM) approvals and (UL) Underwriter’s Laboratories fire ratings. 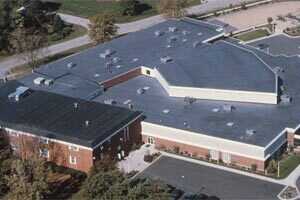 Versico Roofing Systems’ TPO EPDM membranes offer an optimal solution for nearly any low-slope roofing situation. EPDM is a durable material that has more than 50 years of proven, in-ﬁeld performance. 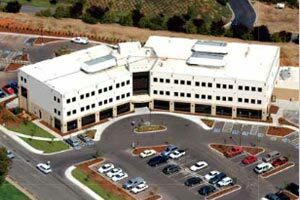 With significant physical property advantages, warming benefits in northern climates, and innovations in product technologies, EPDM is still defining the standard in the commercial roofing market. Below are the top 10 reasons to consider Versigard TPO EPDM on your next roofing project. EPDM is time-tested in real-world conditions. Black EPDM roofing systems have been used for more than 50 years, and white EPDM roofing systems have been used for more than 25 years. Testing of 30-year old EPDM shows tear, tensile strength, and flexibility meet or exceed ASTM standards. EPDM is offered as a non-reinforced membrane which provides a full thickness of weathering materials with no internal scrim. Numerous studies and real-world experience conﬁ rm that EPDM’s 465% elongation (ASTM D412) and weathering resistance result in superior hail damage resistance and UL2218 Class 4 rating. In the Texas Gulf Coast winter climate, the solar thermal benefits of black EPDM helps to reduce heating costs, which are typically 3-5 times greater than air-conditioning costs. 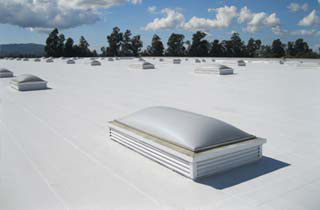 Reflective white EPDM helps to reduce cooling costs in Texas Gulf Coast Summer climates. The cross-linked nature of EPDM can handle the heat of southern climates. EPDM’s dark-colored surface helps to melt frost, dew, and ice that can create slippery conditions on white membranes. A black EPDM membrane helps to reduce a roof’s snow load and dries much more quickly than a reflective roof. EPDM is the most dimensionally stable membrane, remaining ﬂ exible even in extremely cold conditions. Per ASTM D5279-08, EPDM is more ﬂ exible at 0°F than TPO at 100°F. The solar thermal benefits of black EPDM also help to reduce potential condensation issues. Undetected condensation in a roofing assembly can negatively affect the performance of paper insulation facers, weakening the bond between insulation and adhesive, and can have a detrimental effect on the insulation’s R-value, resulting in reduced thermal efficiency. Versico’s labor-saving Quick-Applied Tape (QAT™) and pressure-sensitive ﬂ ashings improve the quality and consistency of seams. Electrical seaming equipment consumes natural resources and is dependent on the applicator using correct speed, temperature, and pressure to avoid false or cold welds. EPDM is available in large 16′-wide to 30′-wide sheets for adhered applications, reducing the number of seams by up to 67% when compared to 10′ sheets. 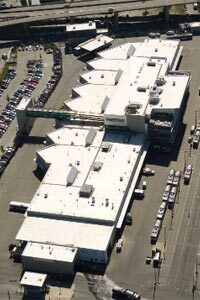 The VersiGard TPO Roofing Systems incorporate either 45-mil or 60-mil reinforced or non-reinforced EPDM membrane. VersiGard (black) reinforced membranes, in 45-, 60-and 75-mil thicknesses, are manufactured with a polyester reinforcement completely encapsulated between two plies of EPDM. Specially developed for Versico’s mechanically attached, purlin attached and fully adhered systems, the membrane offers superior fatigue and puncture resistance. Versico’s narrow-width EPDM membranes are pre-cleaned to provide a dust-free surface and enhance splice performance. Additionally, set marks for sheet overlaps and fastener patterns are manufactured right onto the sheet, reducing installation time. One of the most critical portions of a VersiGard TPO EPDM installation can be made faster and easier with Quick-Applied Tape (QAT) Seam Technology, which factory-applies the Seam Tape to the membrane, greatly reducing the time required for completing seams and minimizing your labor costs. VersiGard’s 90-mil non-reinforced TPO EPDM membrane combined with an adhered roofing system can be utilized in our 30-year Total Systems Warranty (contractors must be pre-approved to install 30-year systems). Versico insulation is recommended for use with all of Versico’s VersiGard TPO Roofing Systems and is required in a Versico Total Systems Warranty. Versico ISO is a polyisocyanurate insulation with foam core insulation boards faced on both sides with a medium-weight fiber-reinforced felt. This dimensionally stable, durable insulation offers maximum thermal efficiency..
Up to 40-year Premium TPO Membrane Warranties are available. 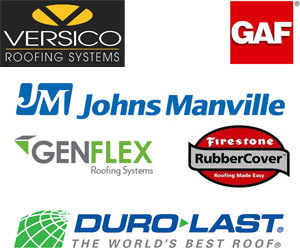 Also, up to 30-year Total Roofing System Warranties are available. Standard wind speed coverage is 55 mph. Additional wind speed warranties are available. 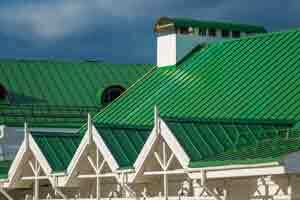 A warranted system is installed by an authorized Versico Roofing Contractor. A completed warranted system is inspected by a trained Versico Field Service Representative to ensure conformance with Versico specifications. VersiFlex PVC is specifically designed for long-term performance and is highly resistant to fire and chemicals including acids, bases, restaurant oils and grease. Sustainability and environmental conservation are two of the top priorities in today’s construction industry. Using building materials with long life expectancy is one of the best ways to achieve long-term sustainability, and EPDM is unmatched when it comes to long-term service life. EPDM roofs have the lowest global warming potential, smog impact, and acid rain impact when compared to other commonly used commercial roofing systems, and at the end of its service life, EPDM can be recycled. More than 50 years of real-world experience has proven that EPDM roof systems are a reliable and sustainable option for almost any roofing project. 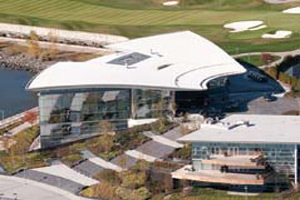 EPDM is available in both white and black membranes for different geographic climates. Ballasted EPDM roofing systems are easily upgraded to include stormwater retention components to help cities alleviate problems from excessive stormwater run-off. Specially formulated EPDM Pond Liners are routinely used to create peaceful living spaces that are in harmony with nature. PVC membranes with polyester or fiberglass reinforcement have both been used with great success in roofing over the past 40 years. Due to its greater tensile strength, Polyester reinforced membrane can be used in either adhered or mechanically fastened systems, while fiberglass reinforced products are limited to adhered applications. Both reinforcements provide excellent dimensional stability, durability but only the polyester contributes to superior puncture and tear resistance. Each detail of a VersiFlex PVC roofing system is meticulously addressed by Versico to ensure the long-term peace of mind customers crave. Due to the excellent long-term dependability of Versico’s VersiFlex PVC and KEE HP membranes, 5-30-year No Dollar Limit warranty coverage is available and can be supplemented with accidental puncture coverage. Low-grade liquid plasticizers of the past were problematic, migrating from the membrane over time and reducing flexibility. Elvaloy KEE HP is a solid plasticizer with the highest molecular weight of any Elvaloy—it does not migrate from the membrane, keeping it weldable and pliable throughout a roof system’s entire service life. 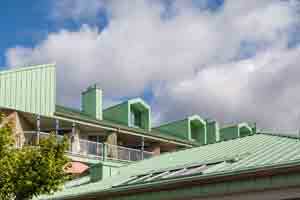 Elvaloy KEE HP is a durable plasticizer that enhances a roof’s resistance to harmful chemicals and pollutants. It can handle the heavy-duty challenges of acid rain, harsh chemicals, industrial pollutants, oil, fats, and even jet fuel. These chemicals can extract liquid plasticizers out of standard PVC membranes, leading to premature degradation. Elvaloy-enhanced PVC membranes are more resistant to the effects of harsh chemicals, making them the ideal choice for rooftops exposed to the harshest environments. For proven durability against severe weather conditions, there’s nothing like PVC membrane enhanced with Elvaloy KEE HP. It remains flexible in the most extreme weather conditions and its remarkable toughness provides increased resistance to abrasion and tearing. KEE HP-enhanced PVC also provides enhanced protection against UV degradation. Because it remains more flexible than traditional PVC plasticizers over time, Elvaloy KEE HP-enhanced roofing membranes are able to be re-welded with ease years after installation if repairs need to be made. VersiFleece® FRS PVC roofing membrane is a high-performance, versatile sheet that is ideal for re-roofing and new construction projects. This product offers building owners the best of both worlds, featuring the superior puncture- and tear-resistance of VersiFleece membrane and the chemical, UV, and ﬁre resistance of VersiFlex™ PVC. VersiFleece FRS PVC is reinforced with a ﬁberglass scrim, further enhancing its physical properties and making one of the most high-performance roofing membranes on the market. 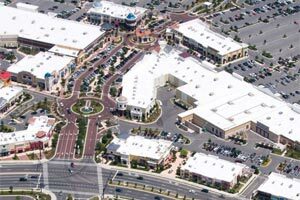 VersiFleece FRS PVC membranes are produced in labor-saving ten-foot widths, providing the building owner with a roof that has 67% fewer seams than modified bitumen roofs of a comparable size. This product is available in 115- and 135-mil thicknesses and can contribute toward LEED® credit requirements due to its highly reﬂective white color. 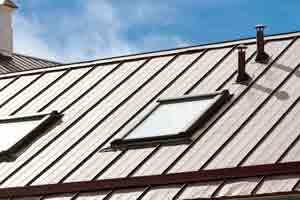 Versico can help you protect your roofing investment with warranties ranging from 5 to 25 years on your PVC system. Versico’s VersiFleece FRS PVC roofing membrane is very durable; it offers the best chemical- and ﬁ re-resistance of any roofing membrane and resists damage that can be caused by rooftop foot traffic and construction. It is low-maintenance, easily weldable, and has exceptional seam strength. The membrane’s ﬂeece backing increases the PVC’s already excellent puncture- and tear-resistance and acts as a built-in separation layer between the PVC membrane and rough concrete decks or existing asphaltic-based roofing systems. VersiFleece FRS PVC offers excellent resistance to UV, ozone, and oxidation, as well as excellent low-temperature ﬂexibility. A ﬁberglass reinforcing scrim adds dimensional stability, making this product ideal for areas with extreme temperature ﬂuctuations. The molecular and mechanical bond between the PVC membrane and the ﬂeece backing offers excellent wind uplift resistance, resulting in a high-performance system that can stand up to tough weather conditions. 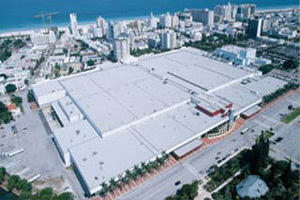 A VersiFleece FRS PVC roof is environmentally friendly and can help reduce a building’s energy usage. The high reﬂectivity of this membrane helps lower operating costs by reducing air conditioning usage. White VersiFleece FRS PVC membranes are ENERGY STAR®-qualiﬁed, CRRC rated, compliant with California’s Title 24, and can also contribute toward LEED® credit requirements. Have Questions About Versico Certified TPO Roofing Systems?